Update - We Are Digital! 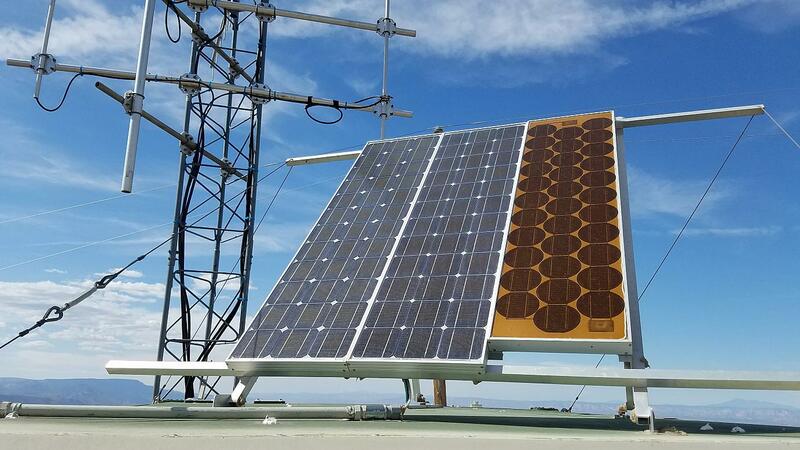 15 people in 6 vehicles made the muddy trek up to the Squaw Peak repeater to install new solar panels, batteries and our new Digital Fusion radio. The Yaesu DR-2X is in AMS (Automatic Mode Select) which automatically recognizes the signal as C4FM digital or conventional FM, and then the repeater re-transmits the signal as received. The 70cm repeater is being moved to our Mingus site to make it accessable to more people. Click here to see photos of the January 10, 2019 work party. 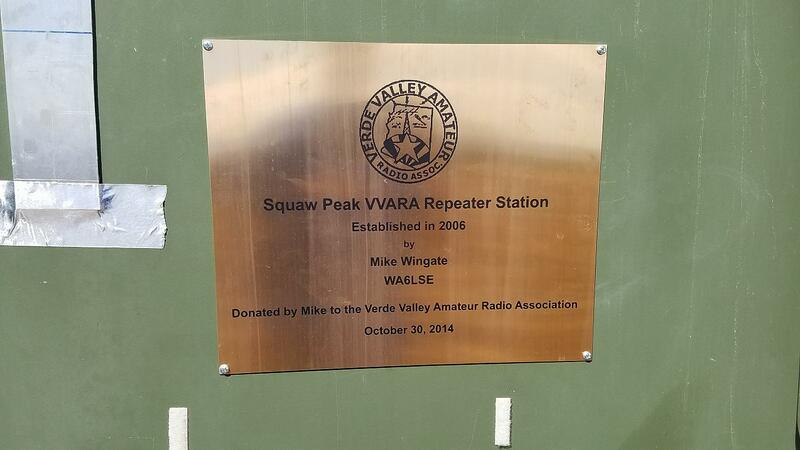 The VVARA Squaw Peak repeater site is the most recent addition to the clubs repeater site inventory. Mike Wingate, WA6LSE is responsible for the design and build of the site prior to the club taking ownership. In 2014, Mike donated the site along with all of the equipment housed inside to the VVARA. We are thankful for his generosity. Sadly, Mike became a silent key early in 2017. His hard work and attention to detail is very apparent at the Squaw Peak site and Mingus Mountain as well. 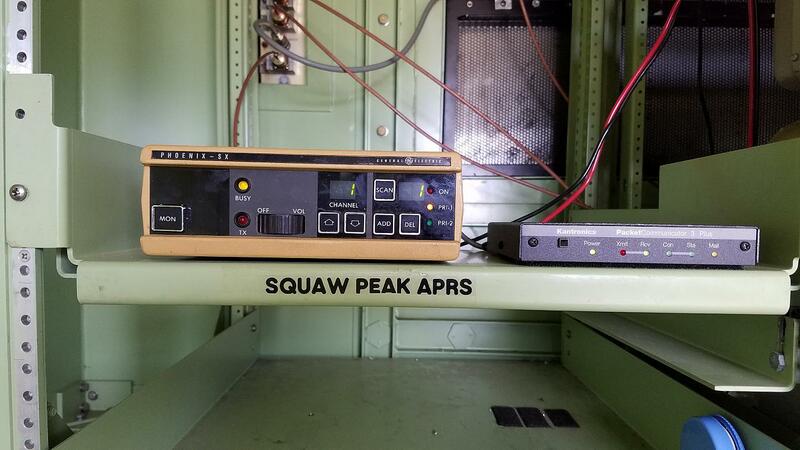 Squaw Peak is home to the 147.100 (131.8 Hz PL) 2m repeater, 447.500 (141.3 Hz PL) 70cm repeater, an APRS digipeater, and just recently, a WinLink digipeater was added. 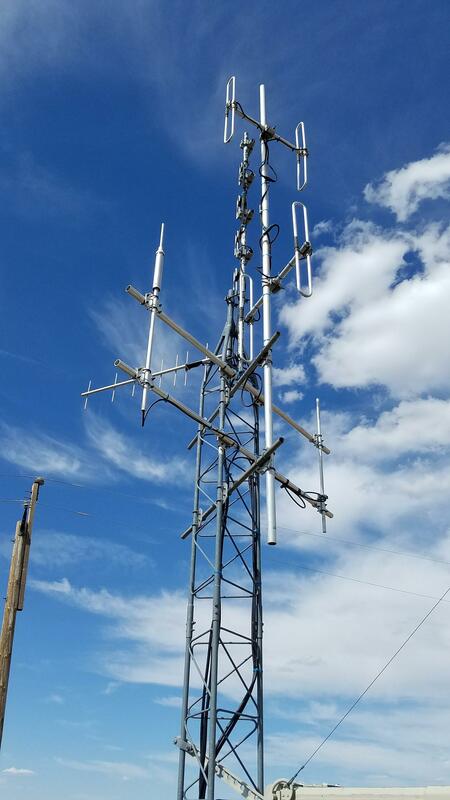 The site which is south of Camp Verde at approximately 6500 ft. elevation, provides coverage throughout the Verde Valley, and into Prescott Valley. It can be heard well along the I-17 corridor between sunset point and Munds Park. The Squaw Peak site has no commercial AC power. The 420Ah battery bank is made up of two recently installed 6VDC batteries in series to provide the 12VDC power to the equipment. The batteries are charged by the rooftop solar panels feeding into a Xantrex charge controller. 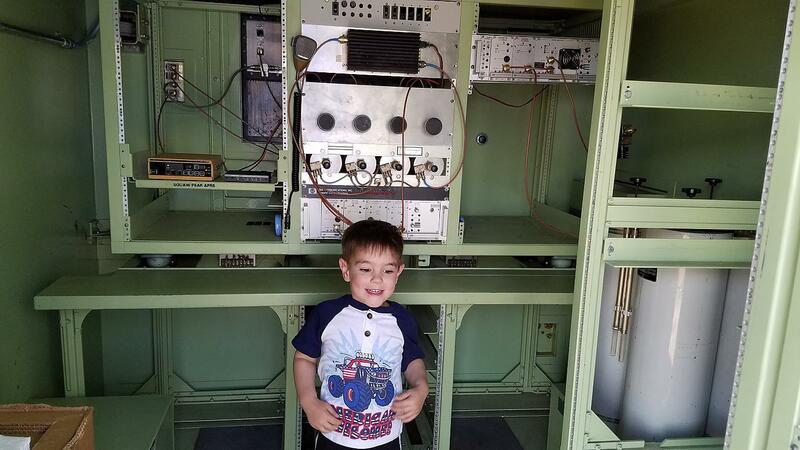 Junior tech in training, Levi, poses in front of the repeater equipment while doing a site check with Matt (Dad) N7YIO. 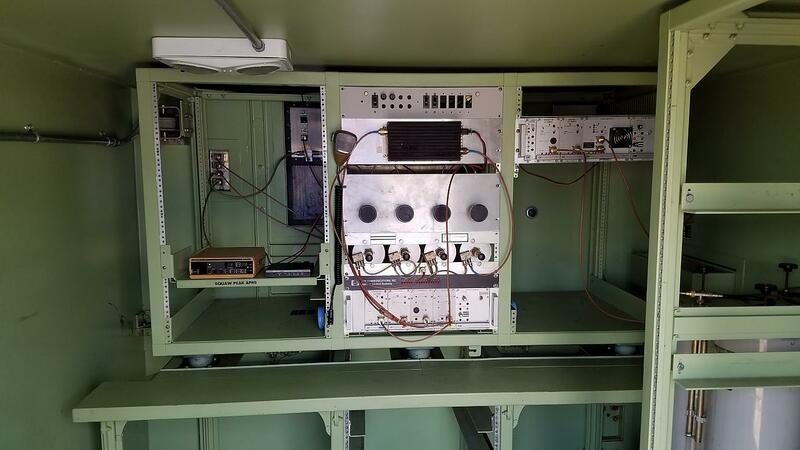 The shelter is home to a 2 meter repeater, 70 cm repeater, along with APRS. 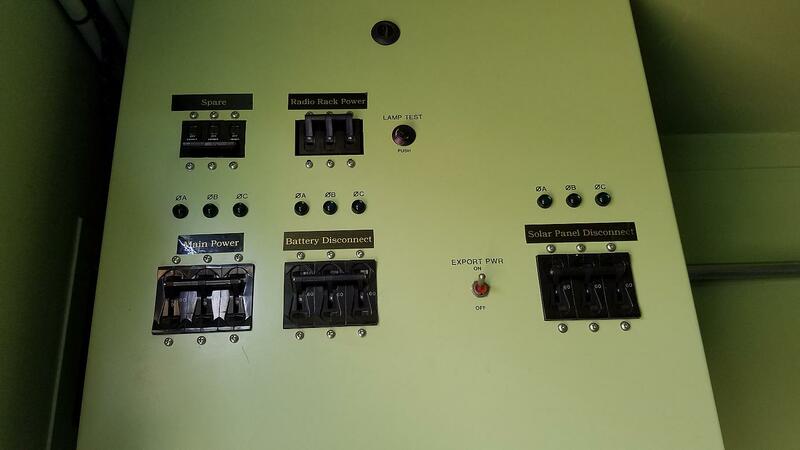 The DC breaker panel designed and built by Mike Wingate, WA6LSE, feeds power to each piece of equipment in the shelter. The plaque inside the shelter commemorating Mike Wingate, WA6LSE who donated the entire site and equipment to the VVARA. 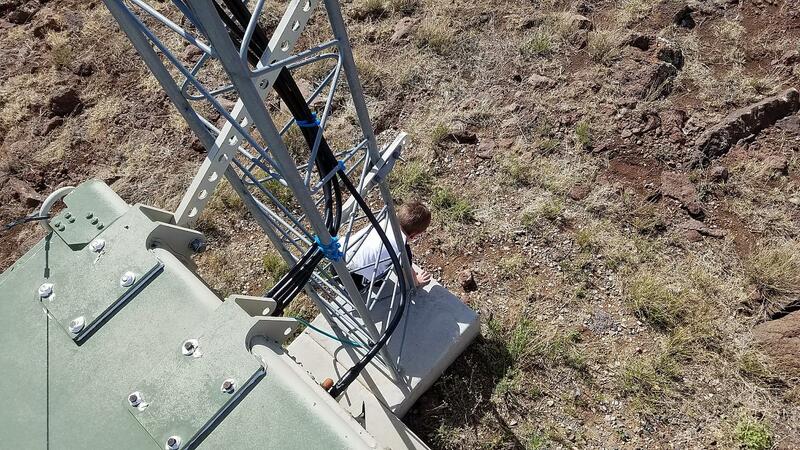 Junior tech Levi seems more interested in catching lizards than helping with a tower inspection. 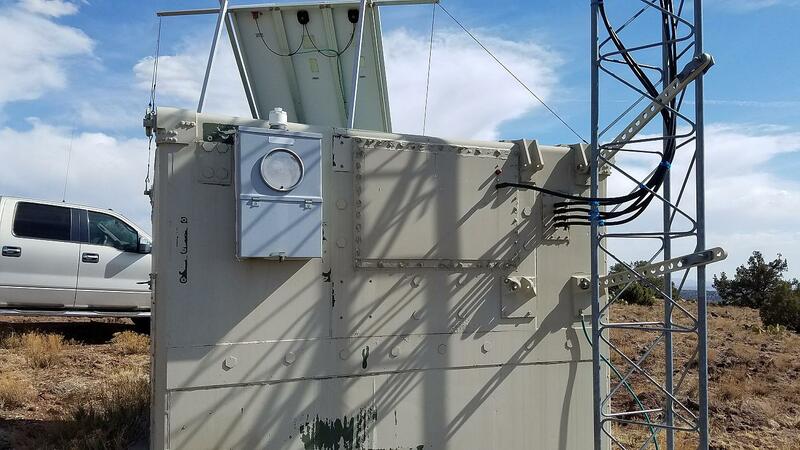 On the rear (north facing) side of the shelter, we see the coaxial entry panel, tower base, and a power entry panel for the possibility of future commercial power. 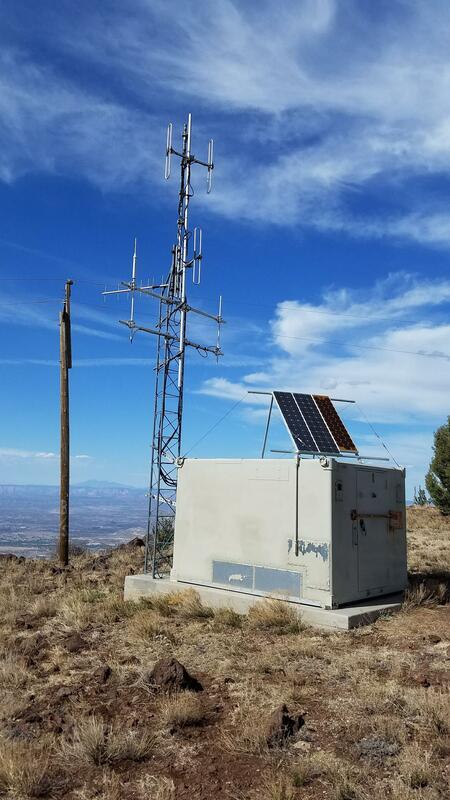 The VVARA Squaw Peak repeater site, which is south of Camp Verde overlooking the Verde Valley at an elevation of 6500 ft. The tower is home to antennas for APRS, 2m, 70cm, and control links.